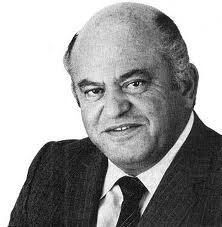 Just yesterday Jack Tramiel passed away. He is probably most famous for establishing Commodore Business Machines, which eventually released the well known Commodore PET, VIC-20 and Commodore 64. The latter one was my second home computer, after the more obscure MZ-80K. Tramiel moved on to Atari, and so did I with the Atari ST1040. A Commodore 64 look-a-like came back recently, so it seems that the memory is still vivid for many.